No doubt you can find lots of Superbowl drink recipes around the Net. But when we think of the perfect Superbowl drink recipe, we like to stick to the basics. And since this special Sunday is sponsored and really all about beer and fatty, greasy fried foods, we picked a beertail – a cocktail made from beer. Really, we’re talking about the relative minority of the Superbowl viewers who aren’t pounding back brews aren’t we? Another reason you’ll want to keep things simple when it comes to choosing the right beverage for your guests is because whoever is hosting the Superbowl party this year has enough stuff to deal with let alone finding the ingredients to make crazy Superbowl cocktails. 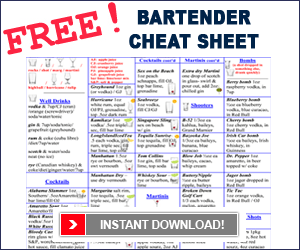 As an example of what we’re referring to here, let’s take a look at one of the Superbowl drink recipes off Liquor.com’s site called the Garden Cooler. Looking at the ingredients above, we’re already annoyed that we need specialty salt. Then we have to go see if we’ve got a cucumber someone in the fridge that hasn’t rotted out yet. But wait, there’s an asterisk* beside Cooler Mix. You mean we have to go and buy some Cooler Mix as well? No, wait we can make it. Oh good. Holy Sh*tballs, now I need to find a pineapple, a bell pepper and some mint. Wait, I think the games almost over! So jokes aside, as we said, we like to keep it simple – and burly. If you’re not into straight beer this Superbowl Sunday, then try this beertail, or beer-inspired cocktail instead – the Michelada. We chose this drink as our choice for a good Superbowl drink because it contains beer and not too many other ingredients (important so that the consumer of this beverage doesn’t have to take too much of a ribbing from the rest of the beer-guzzling gang between plays). 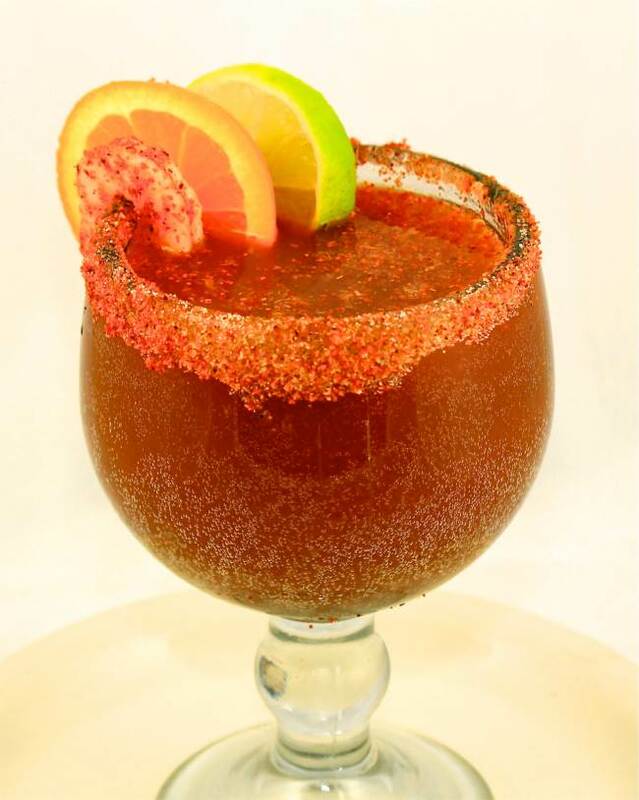 There are many versions of the Michelada drink recipe so we’ll start with the original and then tell you some variations. Thought by some in Mexico to be a great cure for a hangover, the original Michelada is a Mexican drink made with beer, lime juice, sauces, salt and spices. Here’s just one of the many ways to make this drink. Rim a pint glass with the chili lime salt, then fill with ice. Add a couple dashes of Maggi, Salsa Inglesa and the hot sauce and then squeeze in one and half limes (leaving a half to slice up for garnish). Finish the beertail off by pouring in 12oz of your favourite light blonde lager. Garnish with a lime wheel. use regular or celery salt to rim. add 4-6oz of tomato juice or Clamato juice. Up here in Canada, we like to add Clamato juice to our Micheladas as a variation of our Bloody Caesar.